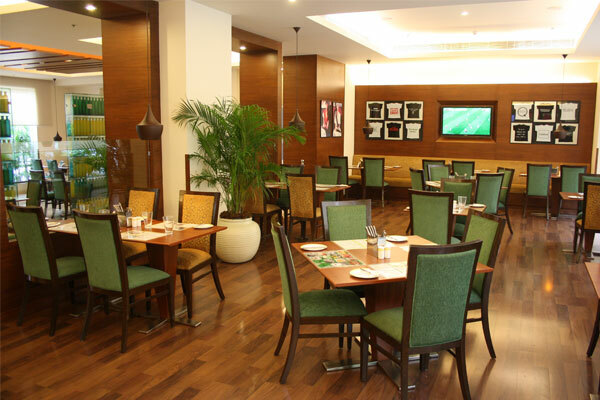 Lemon Tree Hotel, Electronics City, Bangalore is located in Electronics City Phase 1, near Hosur Main Road. A short distance away from Wipro Technologies, 3M, HP Global, Infosys, HCL, Deutsche Bank, Tata Consultancy Services and Biocon, the hotel is also well connected to the new elevated expressway making it a short journey to almost anywhere in Bangalore city. The rooms and suites to its patrons. All rooms offer: high-speed Wi-Fi net access, full sized working desk with ergonomic executive chair, complimentary daily newspaper and mineral water, tea/coffee maker, telephones with global direct dialing and voice mail, LCD TV, satellite television, DVD player, mini bar, electronic safe, orthopedic mattress, well appointed bathroom and bathtub. 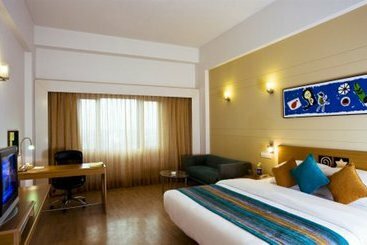 One specially designed room for the differently abled is on offer as well. Services : Room service, Car hire, 24-hour front desk, Currency exchange, Luggage storage, Laundry, Ironing service, Shoeshine, Trouser press, Meeting/banquet facilities, Business centre, Fax/photocopying, Barber/beauty shop, VIP room facilities.